2017 was a stellar year for live music in St. Louis. New venues, big tours, reunions, packaged bills, and a healthy local scene all helped contribute to a stellar concert season in The Lou. 1. Guns N’ Roses, July 27th, The Dome at America’s Center. Oh, before you go there, I know that in some circles they’re considered unhip, too commercial, and passé. GNR delivered the biggest and best show of the year–amazing lighting, production, sound, and performances. GNR played all the hits and Axl’s past indiscretions, slights and disses of The Lou were all but forgotten. They are one of the few bands that most concertgoers consider a must-see act and something tells me people will be talking about this show for decades to come. Openers, Sacramento’s Deftones, played an awesome set, too, but may have been a little too eccentric and eclectic for the crowd of stadium rock enthusiasts. 2. Thievery Corporation, October 7th, The Pageant. Their first St. Louis show was an amazing night of eclectic music and mood enhancement. For the uninitiated, DC’s Thievery Corporation is a musical collective that features an assortment of various vocalists and a stellar backing band. Thievery Corporation plays a mix of electronic, world, dub reggae, and pop music that cannot be easily defined or programmed on commercial radio. 3. Gojira, October 11th, Pop’s Nightclub. This was easily one of the best metal shows of the year. The French metal quartet delivered a sweaty, brutal, and masterful night of entertainment. Metal fans are still talking about this one and for a good reason. The quartet played an amazing set that never faltered or lost its momentum. The future of literate, math rock with sweeping themes, is safe in the hands of Gojira. 4. The Black Angels, May 15th, Delmar Hall. No single band can recreate the 60’s trip out, Factory vibe, Altamont carnage, and authentic, fuzzy, psychedelic spirit of the Summer of Love combined with gritty NYC attitude, like the Black Angels. 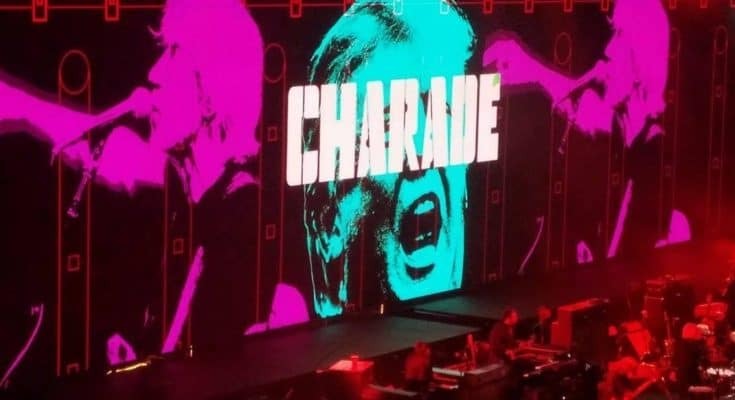 Their light show, backdrops, and hypnotic music created an intimate experience for their mixed audience of classic rock fans and young hipsters. Their 2017 release Death Song is my #1 pick for 2017 releases. 5. The Pixies, October 14th, The Peabody Opera House. The grand old band of original alternative music makers and innovators delivered 35 songs from their debut release, 1987’s Come on Pilgrim through this year’s latest release, Head Carrier. They also performed 11 tracks from their best-known release, Doolittle. There was very little stage banter or interaction. The Pixies just played one great song after another. 6. The Sword, May 23rd, The Ready Room. Austin continues to produce some of the most authentic and vital new alternative and hard rock acts on the national stage. The Sword have the hesher vibe and big slabs of Sabbathy goodness. Their St. Louis show demonstrated why they are still regarded as one of the purest, no- frills heavy music winners out there and a must-see live act. Dust off your bell bottoms and bandanas the next time they’re in the Lou. 7. Elephant Revival, April 15th, The Old Rock House. Colorado’s Elephant Revival is the sound of America. They have perfected their own blend of bluegrass, country, jam and alternative pop and crafted the perfect melodic mélange. If there were justice in the hardboiled music business, these men and ladies would be a household name. Their performance was intimate, warm and enthralling. Catch them if you can. Prepare to be transported to the heart of America. 8. Hed PE November 19th, The Fubar. Honestly, I went to this show with modest expectations and had my mind blown. The Sunday night crowd lapped it up, and the show was incredibly entertaining from start-to-finish. Hed PE is part Bad Brains, part Sublime, part Beastie Boys, part Bob Marley and 100% pure energy. This act is ferocious live and deserves your hard-earned concert dollar. 9. Echo & The Bunnymen with Violent Femmes, July 27th, at The Hollywood Casino Amphitheater. A record heat index of 103 and 100% humidity didn’t prevent Milwaukee’s Violent Femmes or Liverpool’s’ Echo and The Bunnymen from delivering great performances. Frontman, Ian McCullough, had to hit the oxygen tank a few times and leave the stage, but still managed to return and finish the set. Fans were treated to all the classics and a wall of fog and blue lights added to the English mood on one of the hottest nights of summer. 10. LouFest 2017, September 9 & 10th, Forest Park. For most St. Louis concertgoers, LouFest 2017 was easily the best value and festival of the summer. There was something for everyone. There were great performances from Austin’s Spoon, Cage the Elephant, Weezer, the LBC’s Snoop Dogg, Huey Lewis and The News, The Randolph Family Band, local heroes Mathias and the Pirates, a great Chuck Berry Tribute and so much more. The standout show for this reviewer was Run The Jewels. Killer Mike and crew were red hot and left heads ringing. Probably one of the top hip-hop shows of 2017. 11. Le Butcherettes, April 1st, Ready Room. Teri Gender Bender (frontwoman) of Le Bucherettes is what you get if you combined Frida Kahlo with a voodoo priestess, threw in a dash of PJ Harvey, and topped it off with a dose of feverish madness. Le Butcherettes play more than a basic rock show. Terri stomps on the stage, flails, contorts, screams and bashes guitars and keyboards like some mythical Mexican folkloric character. A must-see if you’re a fan of alternative and punk rock. 12. Warp Tour 2017, July 26th, Hollywood Casino Amphitheater. It was recently announced that 2018 will be the final year for this venerable and highly successful tour and lifestyle happening. 2017’s line up was just staggering in diversity and the variety of new upstarts and classic punk bands. Where else can you see The Adolescents, TSOL, and Gwar, and also enjoy The War on Women, Barbwire Dolls, and Andy Black? Dollar-for-dollar, this is the best value for the concert dollar, and Kevin Lyman’s beautiful project will be missed. 13. A Perfect Circle, April 20th, Chaifetz Arena. Maynard and the lads did not disappoint. Although Tool and Puscifer have played St. Louis in the last few years, A Perfect Circle had been missing in action for many years. APC debuted their new single “The Doomed” from their forthcoming untitled 2018 release. We hope Maynard and the boys will return for another St. Louis show in 2018. 14. Matisyahu, December 8th, Delmar Hall. The final month of the 2017 concert season, proved to be a great one. Matisyahu continues to create a singular style of poppy reggae infused with hip-hop and expansive jams. The capacity crowd lapped it up and also gave a warm reception to openers Orphan and OC’s Common Kings. One of the best and strongest bills of the year. 15. Lamb of God and Behemoth, July 31st, The Pageant. Neither band receives mainstream radio airplay, but that didn’t keep the faithful, true metal fans from showing up en masse. Polish export Behemoth, have the classic death metal image and the sound to match. Lamb of God is not for the weak. They hit the audience hard with explosions of light, jackhammer sound, earsplitting volume, and violent imagery. There was nothing subtle about this show, and that suited the initiated just fine. Previous PostBlack Rebel Motorcycle Club At Delmar Hall February 12th. Next PostThe Things that Kept Me Sane in 2017 By Bruce Matlock. All Them Witches Cast A Spell In St. Louis. 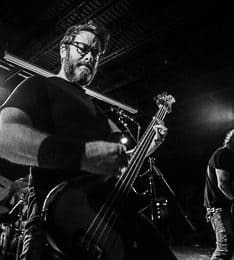 A Show To Sink Your Teeth Into: Red Fang @ the Firebird. Fister Rise Above The Sink With Their Latest Slab.